Doug Smith grew up on a farm outside Cleveland, Ohio, which his father purchased, not to farm but to educate youth about nature and outdoors. Like many midwest parents I know that had children during the same time as Doug's youth, they gave him freedom to roam and explore the natural world. His first love were birds but he enjoyed every aspect of the woods from trees to salamanders. Around the age of thirteen, he became interested in wolves and wanted to get more involved with research. At the age of fifteen, he decided to just write a number of wildlife biologists to see if they would let him work with them. Unfortunately, likely due to his young age, he was turned down with many rejection letters. But he persevered and didn't give up. More letters were written and sent again at the age of eighteen. He thought all it would take is just one response that said "yes" to get his foot in the door. Then, it happened, he did get that one response and found himself working with researchers studying a group of captive wolves in Indiana. The doors began to open for him; later that year he found himself working on the wild wolf study in Isle Royale National Park located in the middle of Lake Superior. He ended up working with this project for almost 15 years. Now, since the 1990s he has been the lead wildlife biologist for the wolf re-introduction program at Yellowstone National Park. The message in this little story about Doug Smith is perseverance is key when pursuing your passions. He wrote many letters and received many rejections, BUT he didn't give up. Now he has a job he is passionate about and we all benefit. 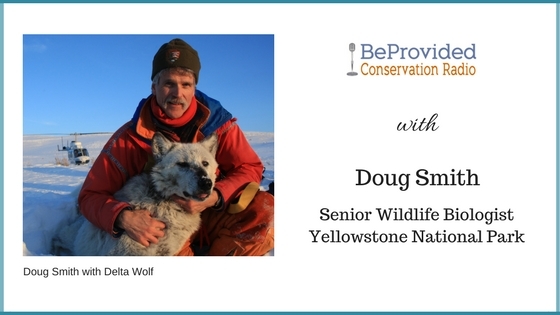 Doug is featured on BeProvided Conservation Radio's podcast on Tuesday, December 12, 2017. Please listen in to hear his story of how he got to Yellowstone. We talked about the re-introduction of the wolves and the current status of Yellowstone's ecosystems and surrounding areas due to the re-introduction. We also discussed the irrational, but deeply embedded fear, humans have of wolves. 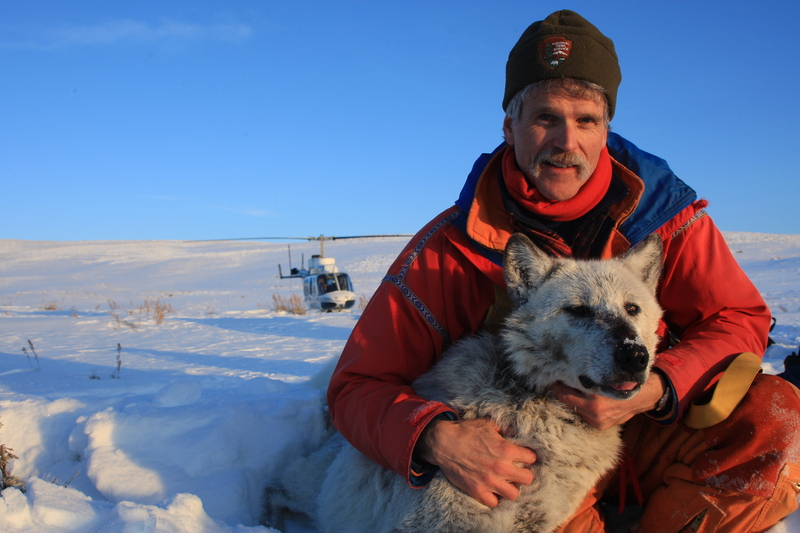 Doug Smith is the co-author of Decade of the Wolf with co-author Gary Ferguson. This is a beautifully written book (you do not need to be a scientist to read this!) In this book you will not only get immersed in the lives of the wolves that were re-introduced, you get to know personally the scientists who are faithfully researching and following them through their lives. In the podcast we talk about a movement of people understanding bird calls as warning signals when outside hiking. I didn't mention the name of the book in our conversation. That book is What the Robin Knows by Jon Young. It is a great book and a must read for any bird and wildlife lover. 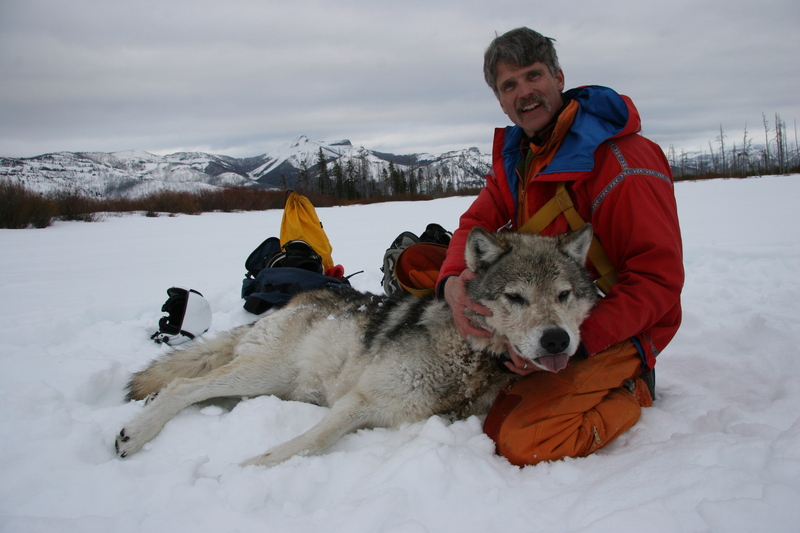 Below are pictures of Doug Smith during the collaring of a Delta Wolf at Yellowstone National Park. Photos were provided by Doug Smith.